The report called “On The Right Track” highlights that Scotland’s railway infrastructure – lines and stations – are already publicly owned. It says that more than half of the delays on ScotRail trains are caused by publicly-owned Network Rail. The report calls for Network Rail to be devolved to the Scottish Parliament and calls for a Scottish Rail Infrastructure Commission to look at a strategic transformation in the rail network to 2050. Reform Scotland Advisory Board member and former Transport Minister Tom Harris said: “There has been almost constant discussion about nationalising ScotRail for years, and it continues unabated. “But it is a meaningless distraction. “ScotRail is responsible for only around one-third of the delays on the railways, whereas over half are down to Network Rail – the public body responsible already nationalised railways. “What would be interesting to explore is whether the Scottish Government could do a better job of running Scotland’s railway infrastructure than the Westminster Government. “It is logical that this could be the case, which is why Reform Scotland is calling for Network Rail to be devolved. 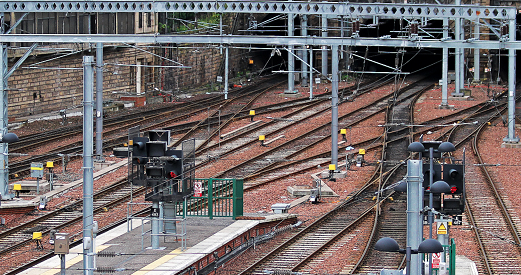 “Scotland’s rail problems are more fundamental than the current debate would suggest. “In 30 years’ time, do we really want to be in a situation where it could take less time to reach London by rail from Edinburgh than it does to reach Inverness? “While rail links to London are important, so too are links within Scotland, links which are sadly lacking at present.